Kyle Riggs is in for a rough ride. 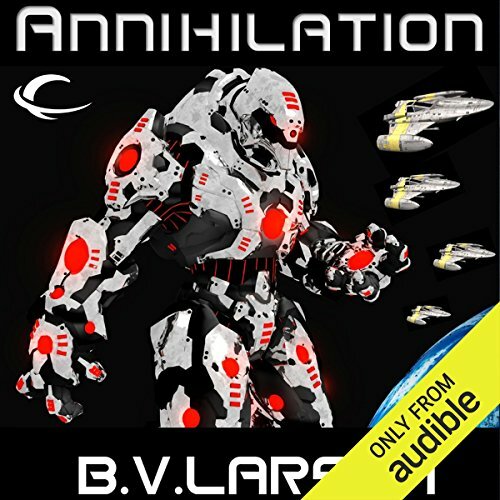 In Annihilation, the seventh book of the Star Force Series, nothing goes as planned. The three fledgling human colonies in the Eden System are beginning to take hold, but the forces threatening to root them out are many. The Crustaceans are calling for help, despite the fact they are the sworn enemies of Star Force. Are they potential allies, or vicious tricksters? And why are the oceans of their world heating up? Even as Riggs flies out to investigate the situation, more mysteries arise. The Blues are making vague threats, and Earth is suing for peace. Who is to be trusted, and who holds a dagger behind their backs? I have, of course, read all the other book in this series and it is slipping. I hope B.V. Larson or one of his associates read these reviews. The character, Kyle Riggs, is becoming juvenile and just as much a dictator as his hated foe, Crowe. I don't understand. Col. Riggs is generally an idiot, and therefore, I'm losing interest in him and almost wish he would be killed off. When, after how many years in space and countless battlefields, do Kyle Riggs suppose to learn from his mistakes. It's becoming frustrating to read/listen to. The narrator is good though. I like him. Of course. Mark Boyett is such an accomplished narrator, a favorite - right next to Scott Brick. He is so good that when I read print edition of any novel I hear Mark's voice anyway. Ever notice how one character just seems to steal every scene even when they aren't really trying to? Our beloved galactic robot - Marvin - has gone and upgraded himself for a specific project. 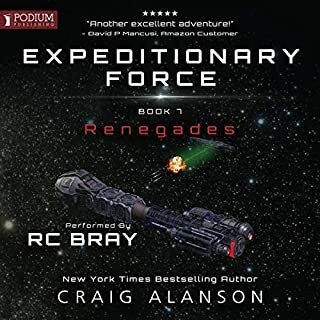 In his best effort to take care of a tragic situation for Col. Riggs, he's applied his unemotional and scientific zeal for discovery and taken it to a grotesque level. Yet, you cannot help but appreciate his adaptive creativity. This was a toss up for me. There is a scene where Riggs and some of his "Pigs" are hunkered down in the dirt trying to fight a gigantic mech that is steamrolling over them. Hoping to score a win by fighting from underneath the behemoth, the team finds themselves with a frighteningly over-sized target sure to squish them. That little battle was so well written I could sense the fear and hear the deafening sounds.The second scene is where Kyle Riggs punches into the room to see what Marvin is up to. The resulting description of Marvin's self-edit to accomplish a medical task was a stroke of macabre that really spiced up an otherwise predictable storyline. Yes, its the funeral scene. I don't want to let out here who dies, but the scene is so powerful. Go ahead and place a bookmark here - because this, in my opinion, is the turning point for Kyle. I was afraid that this book might be a little bit of a dud based on other reviews. I disagree, having found this to be a critical book in the series. Its the perfect setup for a change in the protagonist's personality and sets us on the path of something new. The narration was flawless as usual for Mr. Boyett. Trust the series, trust B.V., and go ahead and get Annihilation. Its worth the credit or the coin. Well done! I want to hang out with Quan. 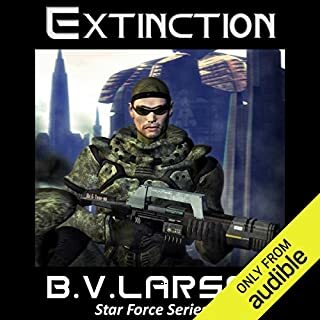 If you are reading this review,its only because you have been sucked into the Star Force series and plan on getting this next book no matter what i say. I read other readers thoughts,some weren't favorable,i didn't care,and i bought the book. I loved it. I only wish they were longer. Rigs really needs to go blow the crap out of "you know who" back on earth and soon. Im not going to say anything about the story. Again,this is what,book 7 in the series? If you are even looking at this book,it means you have read the previous 6. Buy it and like it. BV Larson,get to writing. I want the next book asap. I would Listen to this book at least one more time this year alone, Its engrossing and has such fine attention to detail that there is certainly many small things I missed. 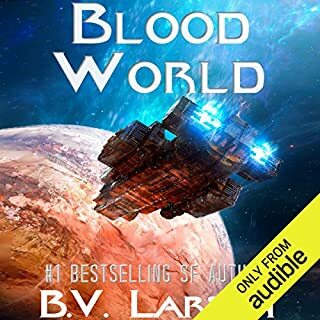 Larson does an AMAZING job of sticking to the possibility of the Nanos and Macros being something we could actually make. By the time you are done with this book, you truly believe humans are on their way towards such things, though hopefully less Violent! What other book might you compare Annihilation to and why? I can not think of any other book I could compare Annihilation to other than other books in the series. This series is truly one of a kind, and in a world flooded with vampires in love and Orson Scott Card Clones, Annihilation stands out Fresh and on its on 2 feet! Mark Boyett truly makes each person sound different. You do not need to hear the name of the person before you know who it is after the first hour or so of listening to any book in the series, and that is simply not easy to do. He also keeps a perfect pace, never monotone, and never over excited. I could not imagine this series without him. I can only compare him to the reader of the Dresden Files series. In that series a single book had a different reader and it took the book from what would have been 5 stars to 3! That same example applies here, If anyone other than Mark where to read StarForce to me it would be a great loss. A venture into the mind of machines and the soul of humans. This series truly shines in a couple of ways. The first being how Mr. Larson never strays far from what science could truly do given time so it never feels silly. The second is how truly the machines show absolutely no Humanity, and act exactly as a computer does. Finally the wonderful attention to detail is incredible. This may turn some readers off as it does slow the pace of the book from time to time, though never in truly intense scenes. Every choice that the lead character makes slowly evolves him, and truly show his morality and sense of justice. 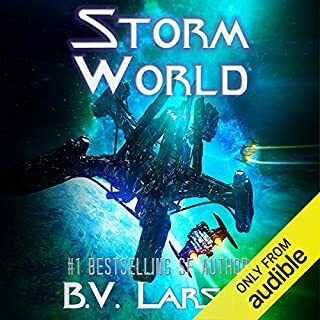 Finally I HIGHLY recommend that you start with Book 1:Swarm so that you can see the amazing development of the characters in this series. By book 7 Riggs is truly a different man. What did you like best about Annihilation? What did you like least? I didn't really like book 7 at all. Too much filler material, so much of this book is kyle riggs thinking about stupid things in his mind in the midst of one of the few action scenes in this book. His desperate actions to save the lobsters for no real reason other than to save thier worlds. They wont even ally with star force and they bring virtually nothing to help. Riggs is willing to sacrifice star force personel for nothing in return. 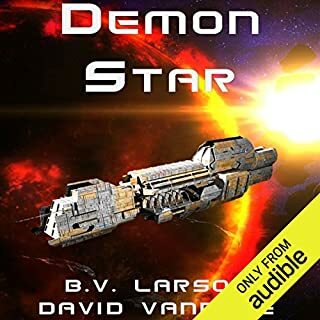 The ground fight in the first half of the book was extremely disappointing and the little bit of space action at the end was all for nothing, pretty much like everything else he did in this book. All 6 of the prior books were better. More action less BS is needed. I'd say 1/3 of this book was utter crap meant to take up time. Step it up bv larson. 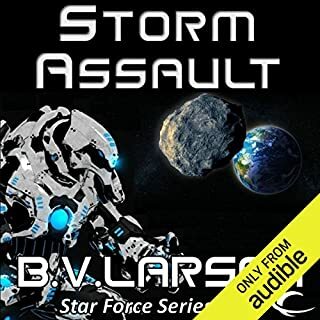 His voices are great as with all star force books but the story was lacking. Was Annihilation worth the listening time? These books have less and less story and more and more filler material. wow! that went by fast. too fast! gee-whiz! 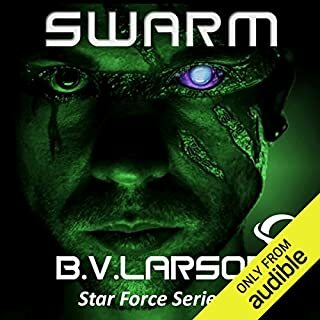 once again, b.v. larson delivers and impresses with his latest installment of star force, annihilation, and THAT IS an apt title! whew! the macros truly are heartless and cold-blooded! duh! they're machines and have neither. sorry, i'm a little giddy after just finishing listening to mark boyett's excellent performance. 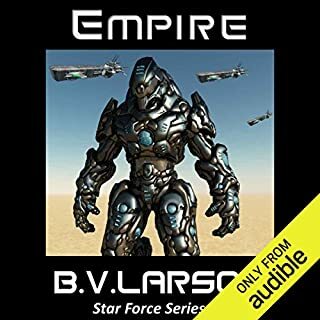 i always end up appreciating the depth of b.v larson's writing b/c...sorry guys and gals...my first impressions of the biotic aliens are "oh that sounds stupid!" rigg's latest biotic nemesis are crustaceans. after their initial appearance, i thought b.v. had lost it! lobsters! smart, space-faring f@%king lobsters? first, there were the worms then the centaurs, and now lobsters. 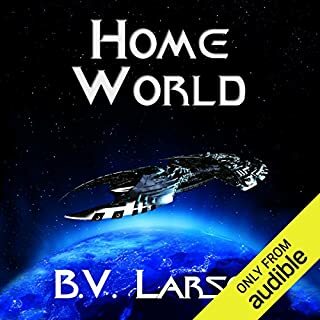 once again, b.v. larson delivers! 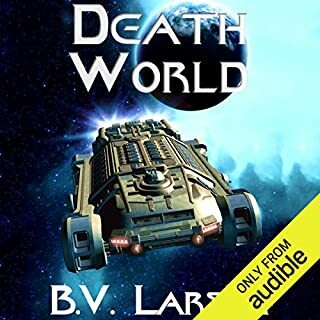 as before, his writing and boyett's narration created an environment where i was able to just listen and suspend my judgment about the implausibility and seemingly craziness of lobsters in space. 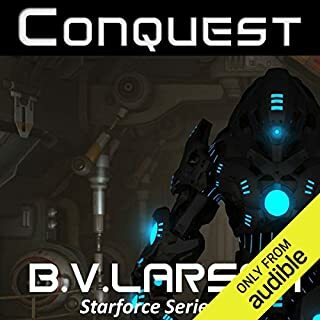 with each new biotic race b.v. introduces, he adds another facet to this series, which makes the overall story even more precious. each biotic race is interesting and peculiar in its own way, and the lobsters are no exception. i enjoyed learning more about the blues and their questionable motivations. and then there are the macros! 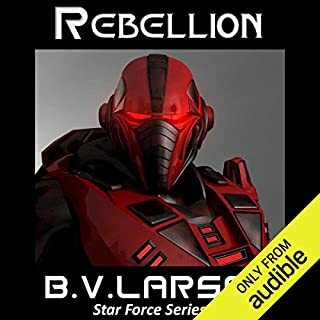 after the events in empire, i was glad b.v. continued to move the plot along in this book. an old frenemy shows up, and there are serious repercussions from his visit. as we learn more about what's been happening on earth, you learn emperor crowe is even more of a megalomaniac than previously thought! dang, he's an evil b@$tard! but what makes the "earth" scenario even more sinister is that the particular outcome depicted is plausible. if you like the series so far, you won't be disappointed. thankfully, there's no let down in b.v.'s storytelling. all of your favorite characters are back! and marvin? well, he's STILL marvin! 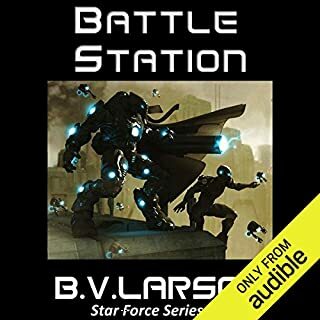 after listening to the last 5 minutes, i'm sure you'll join me do our best "marvin" on b.v. and prod him to hurry and release the next installment of star force! lol you'll know what i mean when you get there! The thing i like the most about the star force series is the characters are very relatable. 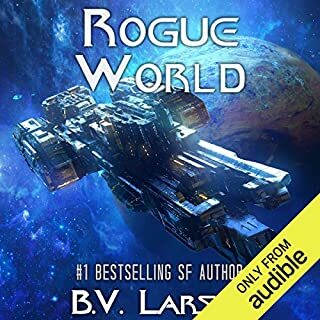 This book has some similar concepts to Ender's Game because it's about another "species" (that being the machines in this case) who take on the humans, so if you liked Ender's Game this is the next series I would recommend diving into. The machines have an overwhelming force compared to the humans and the rest of the biotics. 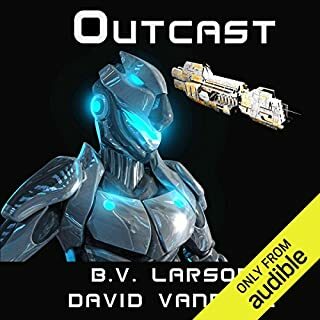 Overall I personally enjoyed the plot, and find myself rooting for the biotics and becoming sad when battles are lost and people are killed off. 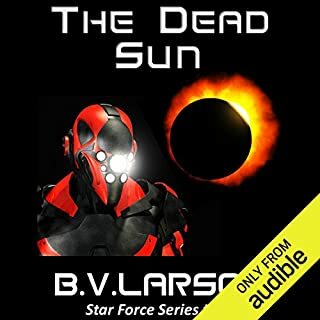 Overall B V Larson is quite a fantastic author who really has a good story going. This story is fantastic but for those who don't mind a very detailed plot it is amazing. For those who haven't read any of the books yet beware it can drag itself out at times. To break it down every book is basically about one campaign that Kyle Riggs battles in. Can't help but want more! Another great addition to the Star Force series. Though I did feel that this book started off a bit on the slow side. Annihilation definitely lives up to its name and leaves you begging to know what's going to happen next. 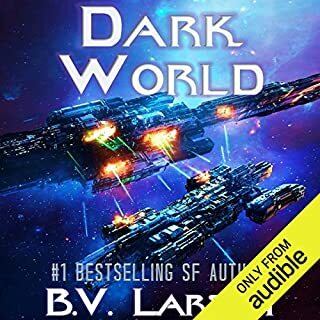 This installment brings back some great drama that we haven't seen since the first book. Larson locks you in emotionally and there's no turning back. You also have the different enemies/aliens/machines planning, plotting, and attacking from every which way keeping you wondering how far this rabbit hole goes. With all the possible story angles this series can only get better. Mark Boyett continues to do amazing work telling the story. And as always he brings extra life to each character. The most unenjoyable part of reading this series is easily waiting for the next book. Let the torture begin. If you could sum up Annihilation in three words, what would they be? I love this series. BV doesn't get too deep into science or even technology. He allows your imagination do the work. Some authors get WAY TOO DEEP into science terms that need to be mentally translated prior to figuring our the story line. It's very tiresome. Keep up the GREAT work Mr. Larson. Oh, and Mark Boyett is super! A Start of A New Age!!! Yes, each book before was thought about as a new chapter, but this book did not only end a new chapter with Star Force, but it also started a new age for them. 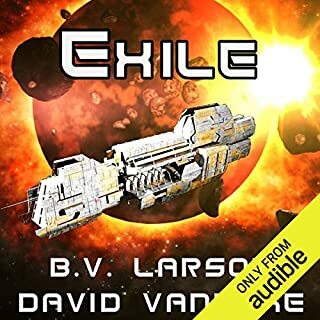 The first few chapters started well, you have your usual saving some biotics and so on, but that doesn't take much from the book as i was fearing at first. Although the beginning was full of action, what happened next wasn't full of action, but it was still a game changer. And if that wasn't enough, what happend during the end of the book was full of action as usual, and it ended another chapter, but rather than just ending another chapter for Star Force it started a new age for them. I think the next book will be full of events and would love to know what will happen in that one. A good addition to the Star Force series, and lets see whats next.